Please get in touch for walkthrough from a specialist, and more information about Predata's solutions. Subscribe to our weekly newsletter to capture geopolitical trends and anticipate market-moving events. To start the new year, Predata has examined trends from 2018 to reveal what will be most important to track in 2019. 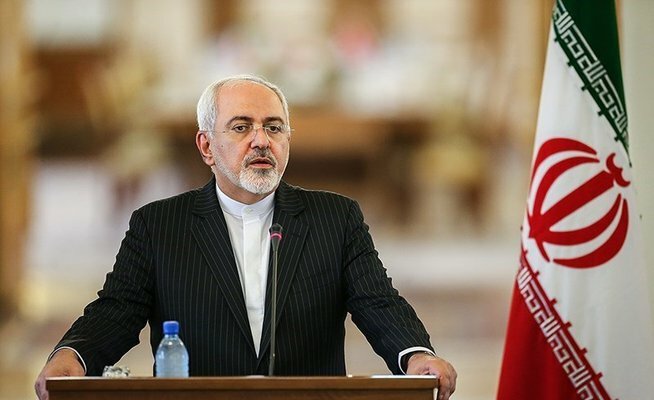 The foreign minister's move appears to have strengthened President Rouhani and his allies versus the hardliners. 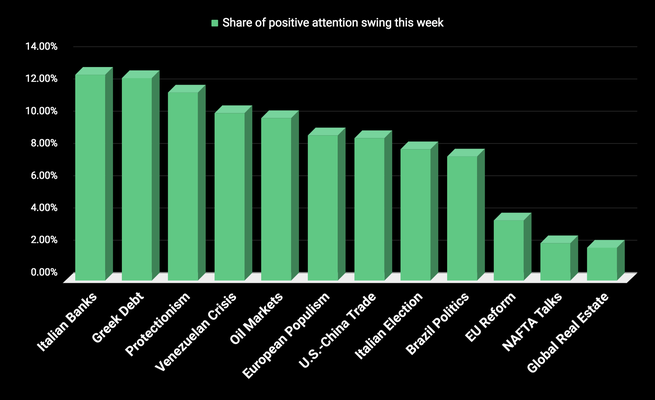 With Italy's anti-establishment parties surging in polls ahead of today's election, global internet users paid increased attention to the country's still recuperating financial system -- perhaps reflecting concern that a eurosceptic government could imperil EU-led bank bailouts. Will the SPD Youth Overthrow the GroKo? Signals suggest the German young socialists' push to block Angela Merkel's grand coalition is falling flat. A surprising political reconciliation could be a watershed moment, our digital volatility indicators show. 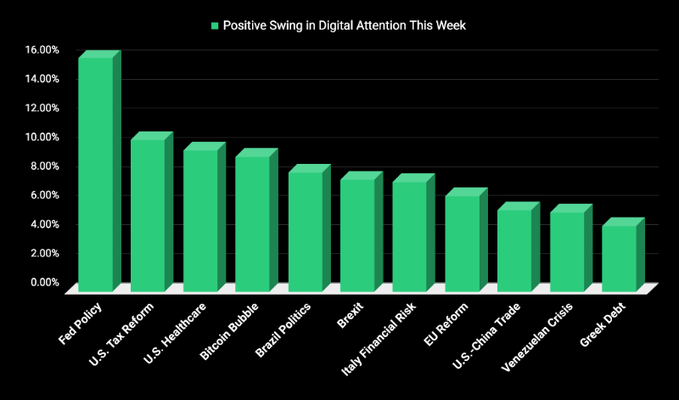 The U.S. Federal Reserve, Tax Reform, and Healthcare topics dominated conversation over the past week, while Bitcoin and Brazilian Politics continue to generate attention. With Nicolás Maduro expected to tighten his grip on Venezuela during today's municipal elections, public interest in a series of killings by state security forces shot upward, while global audiences are tuning back into the U.S. health care debate, and Chinese show concern over U.S.-China trade. 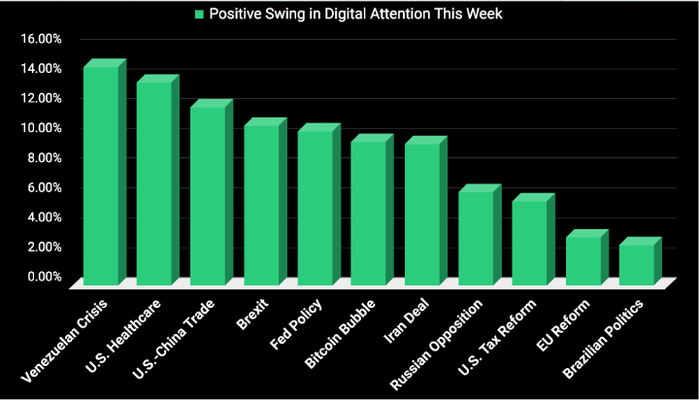 Plus Brexit and Democratic Republic of Congo show online interest. As the price of Bitcoin surged this week, so did online interest in the cryptocurrency and how to obtain it. And, apparent worry about a U.S. Stock Market bubble surfaced on the same day investors suddenly sold tech stocks. 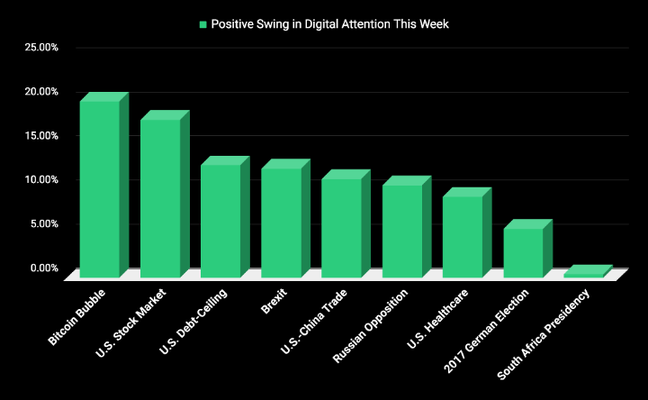 Our analysis suggests Merkel is on shaky ground, and a big move may be coming in the pound. 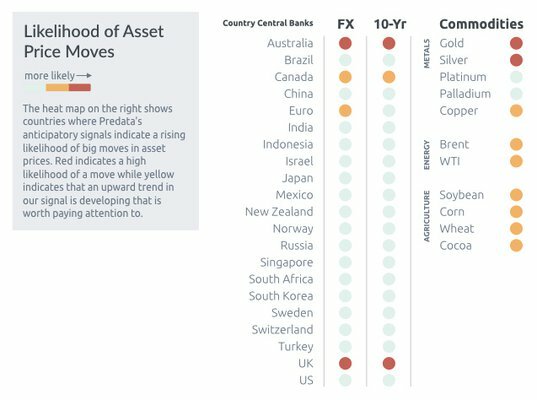 Predata's signals suggest a big move in the Aussie FX and Australian 10-yr yields in the coming weeks.